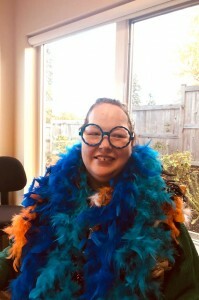 Shelley Blake-Knox loves colour and expresses her joy by the clothes she chooses, especially her boas. She comes to the L’Arche I Belong Centre to participate in art and craft activities three days a week, for about seven years. Shelley always signs her work and is proud to see it displayed in our centre. She has a great sense of humour, loves silly jokes and making new friends and always wears a beautiful smile. Shelley lives in the Comox Valley on Vancouver Island with her mother. 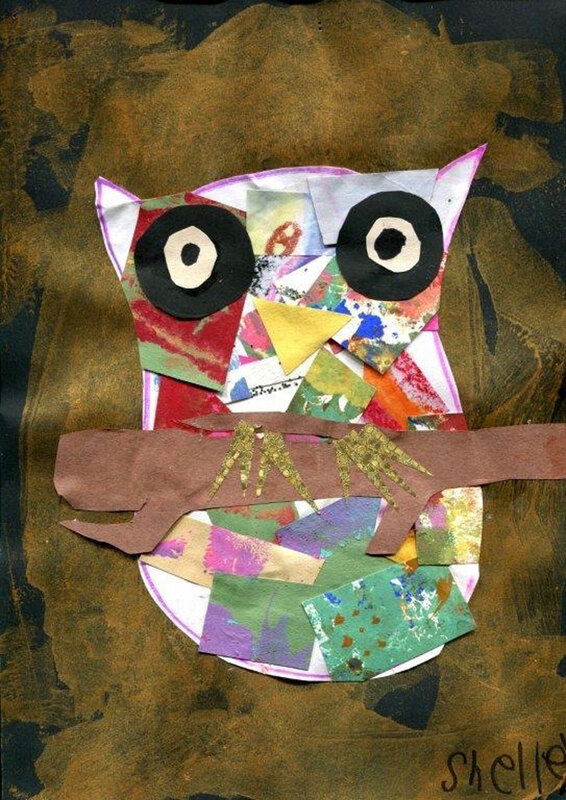 Shelley says about ‘Midnight Owl’, that she likes its feet and eyes, and that this is a happy owl who eats oranges.